First, you will need an active ISSUU Account. Login to your ISSUU account and access your Account Settings. Click on the API tab on the right to access your API Key and API Secret. 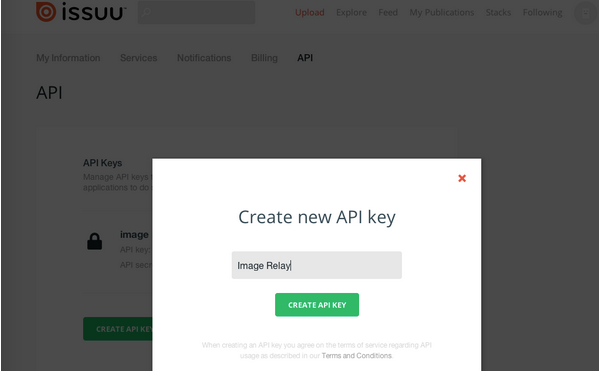 Copy both API tokens and login to Image Relay. You will then be able to share to ISSUU from the detail view for any PDF.